So it turns out that my guess (see previous post) was pretty much dead on. 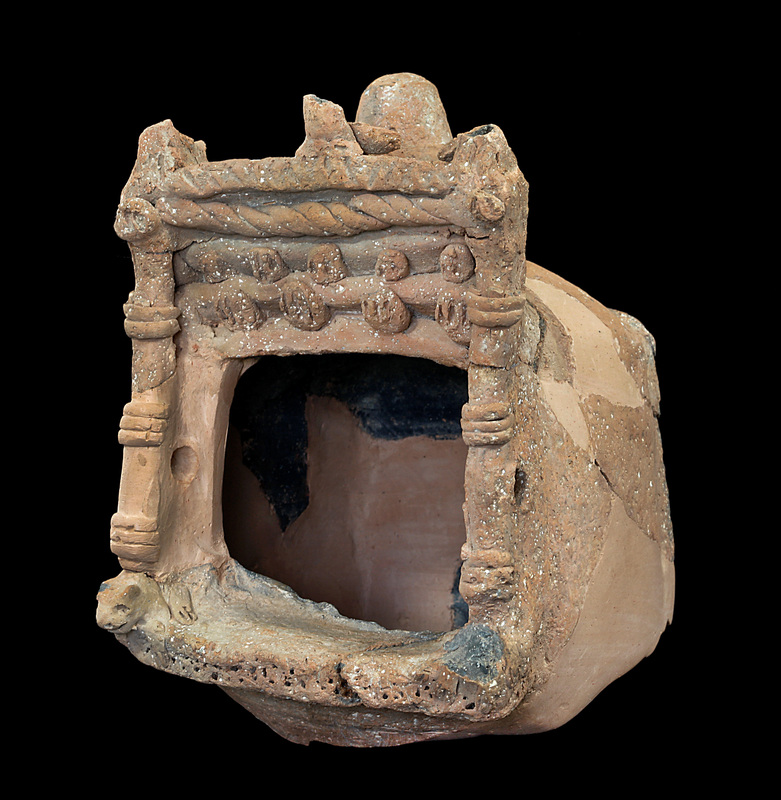 The press conference this morning (via Jim West’s blog) has unveiled a stone and a ceramic temple model, which Garfinkel is interpreting related to the ark of the covenant and architectural features of the temple in Jerusalem (as described in the Hebrew bible). This information is more or less third hand, as soon as there is a press release or more formal information I will have an update. For now it appears that these models shrines are not anything too unique for this time period (Iron IIA), see these images of the Yavneh favissa. The unique aspect of these finds are their interpretation, which I am withholding judgement on until reading a more complete explanation. Update: Here is the official Hebrew University press release. It contains much more information about the archaeological context of the cultic objects previously mentioned. There is also a link to some high quality images of the finds and the shrine(s) in which they were found. These finds are very important but I think the aniconic nature of the cult is overstated. Maybe no figurines were found, but the one model shrine has examples of lions and birds on it. Also this shrine (and the stone one as well, although I can’t find an exact parallel right now) has very close parallels. The three birds on top of the Qeiyafa shrine are broken off, as is one of the lions, but the parallels should be clear. Another almost exact parallel was first published by William Dever in BAR 34/2 where he compellingly argues that it should be associated with Asherah. Update 2: Here are links to my previous blog posts on Finkelstein’s opinions on Qeiyafa and the matter of a separate Shephelan polity. Some of you have probably already heard, but there will be a major announcement at a press conference on May 8th regarding Kh. Qeiyafa. The press conference info was sent out by Joseph Lauer and mentioned on several blogs already. The press release mentions the importance on the news for history, archaeology, and the Bible. So…no pressure. I’m trying to find out some hints as to the nature of the finds. My guess would be some kind of cultic find supporting the Judahite origins of the site in some round about way. In this post I want to focus on the biblical passage mentioning Lachish during the reign of Rehoboam (2 Chronicles 11:9). In the verses preceding 2 Chronicles 11:9, it is written that Rehoboam builds cities for defense in Judah, in preparation for the attack of Shoshenq (Shishak in the Bible), pharaoh of Egypt. The Hebrew word is מָצ֖וֹר meaning enclosure or rampart and coming from the root צ֖וֹר which refers to a siege. Then a list of cities is mentioned that Rehoboam either fortified or built. The Hebrew is not clear on this point, Rehoboam could have reinforced already existing fortifications, built new fortifications, or built new settlements with fortifications. In any event it is clear that Rehoboam is preparing for an attack and accompanying siege, because after the list of cities he is said to have strengthened fortresses with food, wine, oil, shields, spears, and leaders (in Hebrew literally “one in front”). The cities he built up are Bethlehem, Etam, Tekoa, Beth-zur, Socoh, Adullam, Gath, Mareshah, Ziph, Adoraim, Lachish, Azekah, Zorah, Aijalon, and Hebron. There are a number of problems with this list. Sites such as Azekah and Beth-zur have been excavated and no 10th century BCE remains were found. Other sites, such as Zorah and Adullam revealed no 10th century remains in survey. Gath was clearly occupied by the Philistines during this period, so some scholars have amended the name to [Moresheth]-Gath. The Chronicler is known to have less than 20/20 vision when looking far back into the history of the monarchy, however other dates for the text (the reign of Hezekiah or Josiah) are no more satisfying. At the very least this group of cities can be easily separated geographically to show a consistent fortification plan. Bethlehem, Etam, Tekoa, and Beth-zur (2 Chron 11:6-7a) are all along the major north-south road through the Hill Country (sometimes called the Watershed Ridge Route). Socoh and Adullam connect the first group of towns through the Chalk Moat into the Shephelah to the next group of towns along a route sometimes called the Diagonal Route, [Moresheth]-Gath, and Mareshah (2 Chron 11:7b-8b). Ziph, Adoraim, and Lachish (2 Chron 11:8c-9b) are the southern most towns along the route through the Shephelah and the route through the Hill Country. Azekah, Zorah, and Aijalon (2 Chron 11:9c-10b) are cities north of Mareshah along the same Diagonal Route through the Shephelah. The last city mentioned is Hebron, located between Beth-zur to the north and Adoraim/Ziph to the south, its inclusion here seems random. Rainey has suggested that it might have been a southern administrative hub, but this is merely a guess. This list may seem confusing, but there are two main routes that these cities protect. One is the Diagonal Route running through the Shephelah, beginning at Lachish and running northeast past Mareshah, [Moresheth]-Gath, Azekah, Zorah, and ending at Aijalon. This route can still be traveled today as a modern road runs along most of it. The other route is the Watershed Ridge Route through the Hill Country, beginning at Hebron and running past Beth-zur, Etam, and Bethlehem to Jerusalem. 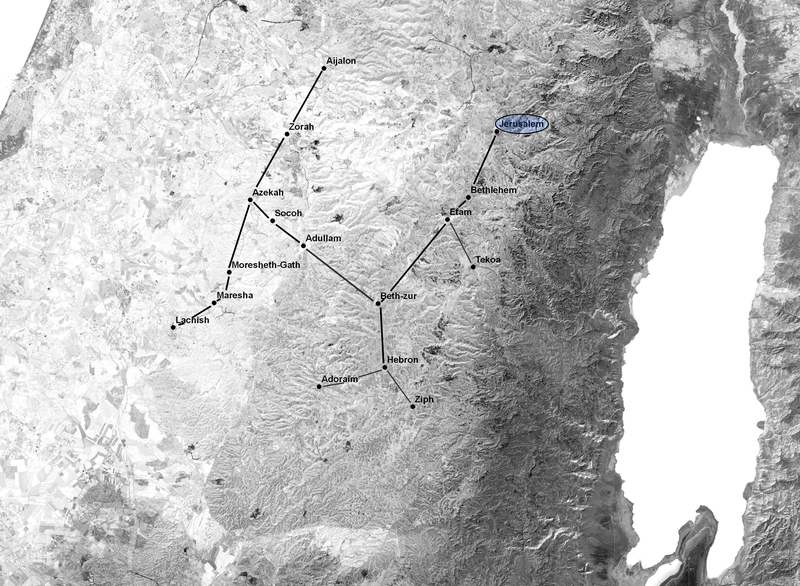 The sites of Adoraim, Ziph, and Tekoa are located just off of this route. The other two sites Socoh and Adullam connect these two routes through the Chalk Moat, a valley running north-south and separating the Hill Country from the Shephelah. Now what does this tell us about Lachish in the 10th century BCE? Unfortunately not much. The nature of the list as recorded by the Chronicler is problematic. As is sometimes the case in the Bible, city-lists do not always match up with the archaeological evidence. It is possible that Lachish was under the control of Judah at this time, or was a later addition to the list. I would like to conclude with two points for further thought. The first is that this list of fortified towns fits in nicely with a gap in the list of cities conquered by Shoshenq. The only city mentioned in the passage in 2 Chronicles and in the Shoshenq list inscribed on the southwest wall of the Karnak temple is Aijalon. Shoshenq mentions conquering cities along the coast, in the Negev, through northern Judah/southern Benjamin, and throughout Israel but not any sites in the Shephelah or Hill Country of Judah mentioned in 2 Chronicles 11. Some have suggested that the reason no sites were listed is because no sites were occupied during this time. This fact leads to my second point; it is very clear from the archaeological record that Lachish was occupied during this time (as were some other sites mentioned in the 2 Chronicles list). So, next time I will look at the archaeological evidence from Lachish in an attempt to better understand its history from the time of Joshua to the time of Hezekiah, and more specifically during the 10th century BCE. As I have been thinking about a possible polity in the Shephelah during the 10th century BCE, I keep coming back to Lachish. 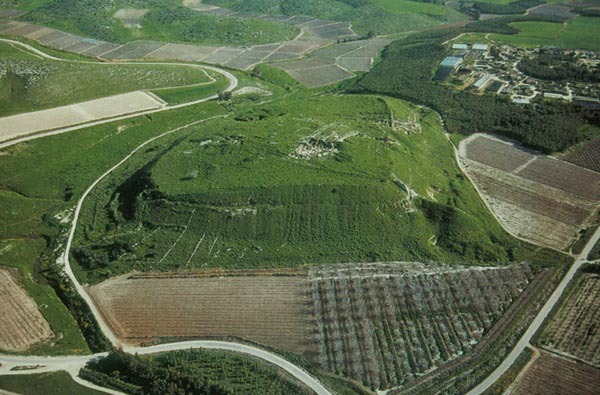 The site was proposed by Ido Koch (one of Israel Finkelstein’s PhD students), in his ASOR paper, as the location of a polity during this time period, the main rival to the Philistine city of Ekron (as opposed to Jerusalem). Now Ido was incorrect on several points, including the size of Gath during this time, a point that would require a general rethinking of how he assigned these power centers. Also it seems he didn’t include Qeiyafa within the sphere of Lachish, instead viewing it as a local fortified farmstead (another mistake in my view). Despite these errors Koch has focused on Lachish for a reason. Perhaps the reason is that Lachish was once part of the original argument for creating the Low Chronology, by his doktorvater Israel Finkelstein (in part because of the lack of Philistine bichrome pottery at the site). Or perhaps it has something to do with the absence of Lachish for much of the Old Testament. The site makes an appearance in Joshua 10 where its king Yaphia is part of the coalition of the 5 led by Adoni-zedek of Jerusalem, who team up against Joshua and the Israelites. Joshua and his men kill the kings and siege the cities, including Lachish. It is as if Joshua has wiped Lachish from the pages of the Old Testament, because other than a brief mention in 2 Chronicles 11 as one of the cities Rehoboam fortified along the Diagonal Route through the Shephelah and 2 Kings 14:19 when Amaziah flees to the site, Lachish isn’t a major focus until 2 Kings 18 and the war of Sennacherib against Hezekiah in the late 8th century BCE. This gap is over 400 years and we know from the excavations at Lachish that the site continued to be a large, strongly fortified site during this period. In the next post I will look at the Rehoboam and Amaziah passages closer, and also try to determine what happened historically to the site after its destruction in the early 12th century BCE. This post is the second part of a response to Israel Finkelstein’s lecture on Khirbet Qeiyafa at the SBL meetings in Atlanta. 4) Ethnic Affiliation: Everyone agrees that Qeiyafa wasn’t associated in any way with the Philistines, there are no similarities in the material culture. The other main option is a Judahite/Hill Country association, Finkelstein and others from Tel Aviv have had the hardest time coming up with an alternative solution. They have come up with two other possibilities; the first is that the site was some kind of fortified farmstead belonging to local Canaanites (I think it was Ido Koch who suggested this), the second is that there was some kind of Shephelah polity in this time period. This concept seemed to be what Finkelstein was suggesting. 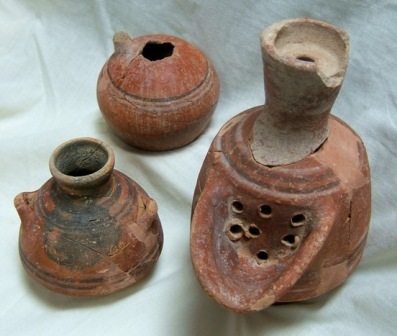 It is supported in part by the presence of Ashdod Ware I pottery at the site (which Garfinkel has used to date the site to Iron IIA), which appears more frequently in the Shephelah than in the Hill Country. He pointed out that all 11th-10th century proto-canaanite or early hebrew inscriptions have come from the Shephelah (Izbet Sartah, Gezer, Tell Zayit, and now Khirbet Qeiyafa) and not from the hill country. This point was probably Finkelstein’s strongest, it is an idea that I have never thought of before and has not been published elsewhere. This is not to say that there is not a good answer, but I can’t think of one currently. Most conservative biblical scholars would rely on the OT at this point and suggest that this (the fact there are multiple inscriptions found at the border of the kingdom) shows the development of some kind of state formation under David or Solomon. This theory might hold true, but currently it lacks archaeological evidence to support it (especially with the redating of Eilat Mazar’s monumental structure in the City of David from the Iron IIA to the Iron I by Ami Mazar and Avi Faust, although there is a possibility that Mazar has found 10th century remains on the Ophel, just south of the Temple Mount). In any case, both of these possibilities (Canaanite or Shephelah polity) are lacking simply because of the known strength of the Philistines at this time period. It seems impossible that a small polity or local fortified farmstead would be allowed by the Philistines to exist so close to their border. As can be seen by the length of this section, the ethnic identity of Qeiyafa is by far the most complicated aspect of this debate. 5) Identification of the Site: This was the weakest part of Finkelstein’s paper. He rejects the identification of the site as Sha’arayim because there is no second gate (which is now confirmed) and because the texts (in the city lists of Josh 15:36 and 1 Chr 4:31, and in the Goliath story in 1 Sam 17:52) mentioning the site are all late. It is clear that Finkelstein is not a historical geographer. At what point did the final date of a text have bearing on site identification? Even if the final dates of these texts weren’t disputed, that is still no indicator of when the original sources (written or oral) were formed. I have heard texts being dated based on when certain sites were occupied (the Joshua city lists are a good example of that), but not the other way around. Most scholars would date the Joshua and 1 Samuel texts to the 8th or 7th centuries BCE (although some would date it later or earlier) which would only be a gap of 200 or 300 years. Not nearly enough time for the memory of a site like Qeiyafa to fade. The remains of this site are still visible on the surface today, and would have been plainly visible to anyone traveling through the area in the late Iron Age. Now for a few conclusions. In his paper Finkelstein seemed to exaggerate the differences between his interpretation of Qeiyafa and that of its excavators Garfinkel and Gaanor. This is likely because in his first ASOR presentation on Qeiyafa, Garfinkel proclaimed the Low Chronology dead. The pottery and radiocarbon dates fit well within the late Iron Age I through Iron Age IIA. These dates allow proponents of both the Modified High Chronology and the Low Chronology to stake claim to the site of Qeiyafa. So it is not the Low Chronology which is dead but rather assumptions about centralized government held by supporters of the Low Chronology. 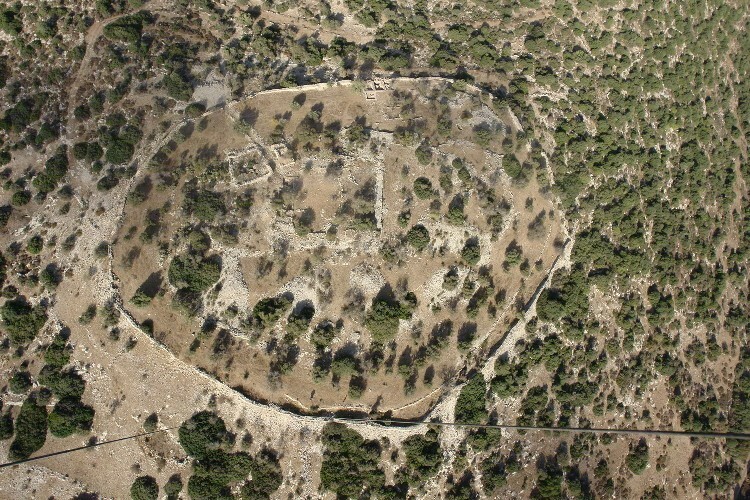 It is clear that Qeiyafa was founded by a centralized government; due to its location, its large, fortified nature, the inscription found at the site, and the impressions on storage jar handles (Hoo-Goo Kang presented on these “finger” impressions at ASOR this year stating that they were applied using a tool, indicating some kind of control above that of an individual potter). It is when talking about ethnic identity of the site where I part ways with Finkelstein. Although he makes some compelling arguments for a polity in the Shephelah, I still believe that the material evidence still lends support for association with the hill country. Finally I do believe that Qeiyafa is Sha’ariyim, and find Finkelstein’s toponymic suggestions entirely incorrect. During the David Ussishkin Festschrift session at SBL, Israel Finkelstein read a paper entitled “Khirbet Qeiyafa: A Cool-Headed Interpretation.” Finkelstein focused on five main points (pottery, radiocarbon dates, fortification system, ethnic affiliation, and identification of the site), which I will discuss below. Overall I generally agree with what he has to say (with one major exception, toponymics) although I think, like Garfinkel, he is exaggerating differences to support his interpretation. Also, in general, I prefer Mazar’s Modified High Chronology to Finkelstein’s Low Chronology. 1) The Pottery: Lily Singer-Avitz in her article in Tel Aviv has dated the ceramic assemblage to the late Iron I, instead of the Iron IIA. Finkelstein picks up on this, seeing similarities to late Iron Age I sites he has excavated such as Izbet Sartah and Kh. ed-Dawwara on the Central Benjamin Plateau. He also sees a lack of wheel burnishing as evidence for a slightly earlier date than Garfinkel would support. I have no issue with this, much of the debate at the first Qeiyafa session a few ASOR’s ago, surrounded the dating of the site to the time of David. Several scholars (including Tom Levy, Jeff Chadwick, and Aren Maeir) stood up and asked why the pottery could not be Solomonic or Saulide. I think their concerns were valid and that the Qeiyafa assemblage could date from the 11th century BCE through the mid-10th century BCE. One things is clear concerning the ceramic assemblage; it is hill country oriented. Both Bill Dever and Aren Maeir have made it very clear that this is their opinion, and I would agree with them. 2) The Radiocarbon Dates: Finkelstein takes issue with the fact that Garfinkel has averaged his dates, which should only be done if all samples taken are from the same clear context. Unfortunately this isn’t the case with the first Qeiyafa samples, which include a date from the Middle Bronze Age and a date from the Hellenistic Period. In this case I think Finkelstein is correct, although they have continued to take radiocarbon samples at Qeiyafa and it seems as if the dates can be used to support either perspective. 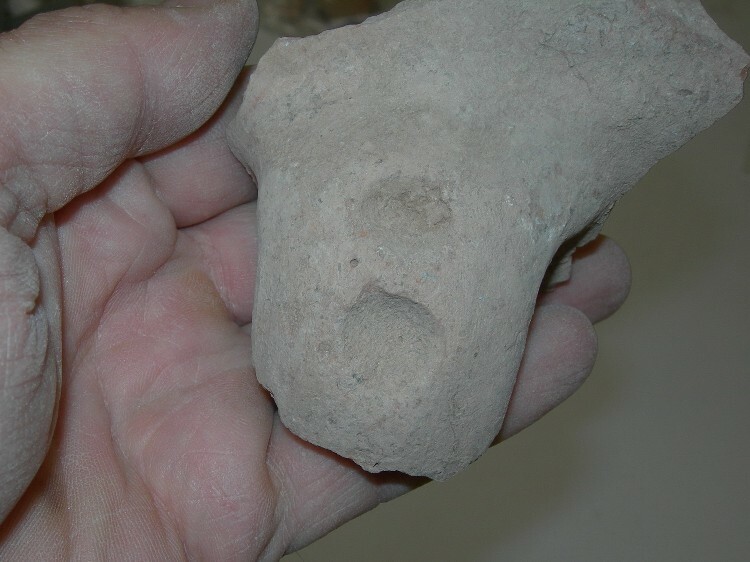 Like with the pottery we are dealing with a period of 150 years or so, and one can line the radiocarbon dates and the pottery together to fit their personal viewpoint. 3) Fortification System: At this point is where I begin to part ways from Finkelstein. He is correct in noting that casemate wall fortifications appear at many sites in the area during this time period. The casemate fortification at Qeiyafa is neither the first in Israel (as claimed by Galil later Saturday night at ASOR) nor is it a unique architectural feature in the Levant. 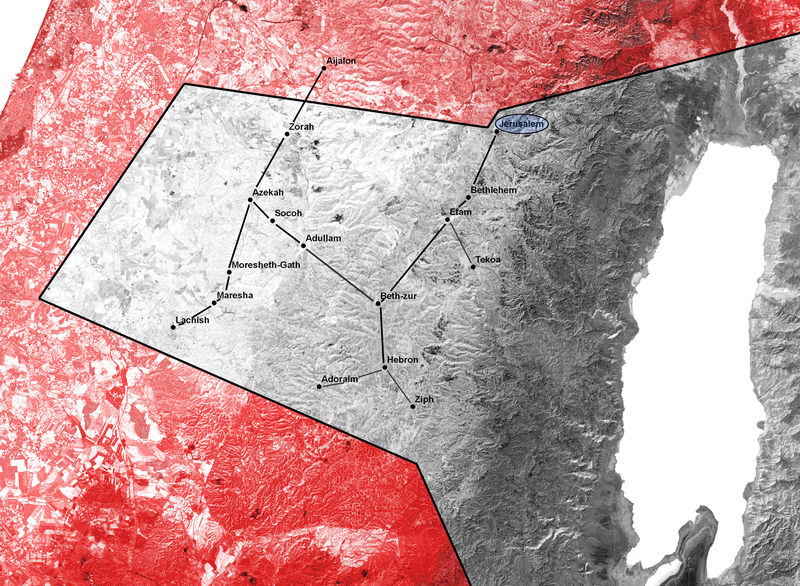 Finkelstein pointed out examples at sites nearby such as Timnah and Izbet Sartah, and in Jordan at Kh. al-Mudanyah on the Wadi ath-Thamad and Ataruz. However these casemate fortifications do differ greatly in size from Qeiyafa. Casemate walls at Izbet Sartah, for example, consist of flimsy walls the same type as the houses abutting the outer wall. At Qeiyafa the outer wall is much larger than the inner dividing walls. Here is an example of Garfinkel (and others such as Galil who knows little about archaeology) overstating his case, and allowing others to poke holes in his greater interpretation. He should have stated that casemate walls are found at other sites during this time period but the construction at Qeiyafa is on a greater scale. Finkelstein also questions the presence of a second gate, but the most recent excavations at Qeiyafa make it clear that this gate did exist and dates generally to this period in the Iron Age (and not the Hellenistic period). This post is getting far too long already. I’ll conclude with part 2 tomorrow, focusing on Finkelstein’s fourth and fifth points. I was planning on posting more regularly over the course of the meetings, but I was too busy/without internet most of the time. I presented on Thursday and was then able to enjoy the rest of the sessions sans stress. The meetings are always a great opportunity to see old friends and network. I saw friends from all over the world, people from: Wheaton, Jerusalem University College, Tell es-Safi, the Madaba Plains Project, and others random folk I’ve come to know over the years. Since I am ABD networking is always an important part of the meetings and partially thanks to the 3D scanning I was able to make some new acquaintances. I also attended a young scholars luncheon on post-doc fellowships, which was particularly helpful. I attended many sessions and heard papers both good, bad, and ugly. My paper in the Archaeology of Jordan Bronze and Iron Age session went fairly well. There were technical difficulties at the beginning of the session, but all the papers were interesting, covering the Early Bronze Age through the Iron Age. I saw many familiar faces in the audience and also the new director general of the department of antiquities (who Barbara Porter has introduced me to the night before). A particularly interesting/telling series of lectures took place on Saturday afternoon and evening. I went over to SBL to hear the Ussishkin Festschrift Session and then came back to ASOR to hear the session on the Archaeology of the City of David. Both sessions were star-studded events with Israel Finkelstein, Naadav Naaman, David Schloen, and Baruch Halpern presenting in the first session and Amihai Mazar, Avraham Faust, and Andy Vaughn in the second (to name a few). The SBL session was packed with people standing in the back and sitting on the floor, the ASOR session was also quite full but in a much larger room. The SBL session had been moved from an even smaller room, making one wonder how seriously they take their archaeology. In any case there was a real dichotomy between the two sessions one where the Low Chronology/Tel Aviv School was in full effect, and the other where the High Chronology was being favored. It was quite a transition, going from Finkelstein tearing down the standard interpretation of Kh. Qeiyafa (while Garfinkel squirmed in the audience), to Vaughn pointing out all the flaws in Finkelstein’s interpretation of Jerusalem. Despite the tension in the room (especially at SBL) there were many light moments as well. Finkelstein showed pictures of his great grandparents alongside Ussishkin’s grandparents back in Europe and told a story of Ussishkin’s parents staying at his grandparents hotel in Jerusalem and still owing them for a coffee. At Faust’s lecture, he focused on redating Eilat Mazar’s monumental stone structure (called by her David’s Palace) to the Iron Age I, prompting Ayelet Gilboa (director of excavations at Tell Dor) to suggest he except the Low Chronology and then once again we could have David’s Palace (instead of a Jebusite stronghold). I’ve written plenty here, maybe as there is time over Thanksgiving weekend I will write about a few of the more interesting lectures, and write a thorough critique of Finkelstein’s interpretation of Qeiyafa.